Many Thanks to those who have been following Mahaloness over the years, as I near completion of my newest mural project I am feeling psyched, stoked and grateful for this life. In celebration of life here is a few fotos of recent work and special offer I have going on for the next 2 days (March 4&5) to get your own hälts wearable art item, bringing deep and meaningful art to you in a wearable form, see details below. Here is the link to my little shop, collections will be made in small barches, keeping it limited edition and extra special. Mahalo! Merci! Thank you! Gracias! Tags: Artandfashion, Artfashion, calgaryrtist, care, goddessofcompasson, hältsART, heart, love, Mahaloness, maket, Maui, painting, travel, Wearable art | Permalink. 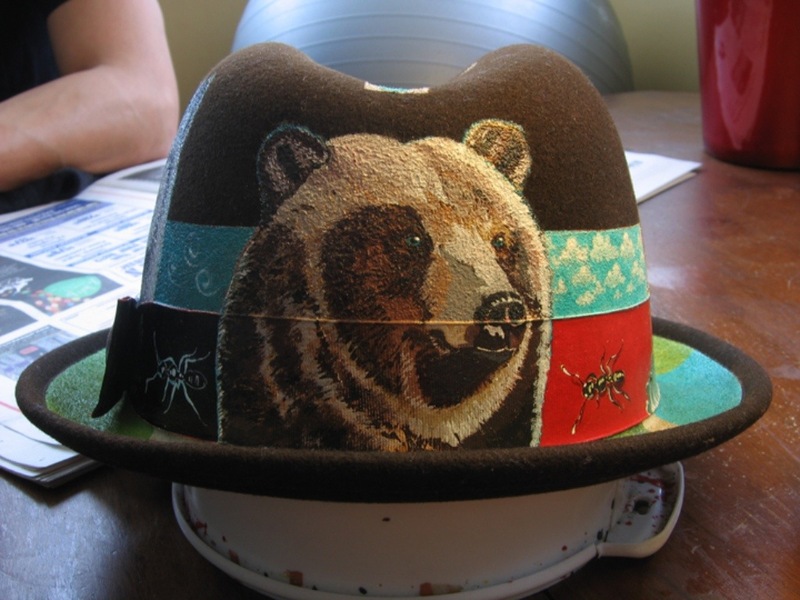 For many years I have been painting wearable art for patrons who want something that is unique to them. The medium I use adds flexibility to the paint and once heat set lasts as long as any silk screen or digital print. This is what I would call a micro art business as I only make a run of one. So far I probably have around 200 hälts art wearables circulating the globe, ‘minimal produced’ seems fitting. Tags: art, custom art, Mahaloness, minimal, minimally produced, one off, osprey, Wearable art | Permalink. 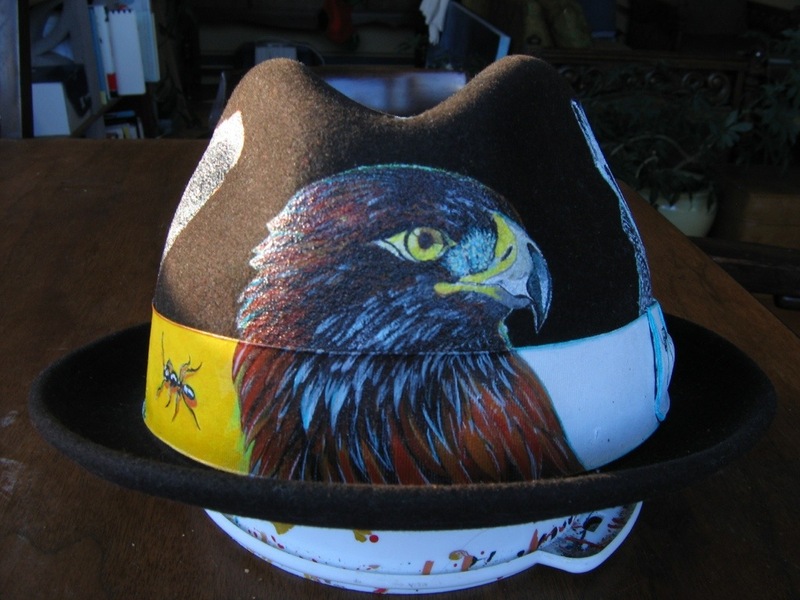 This is me drawing with a pencil although the graphite bound together with clay is replaced with digital numbers and logarithms; techno doodles animated on images of my very own one of a kind hand painted wearable art pieces, in this case a medicine wheel fedora. Something of note is that I do work in the film industry from time to time, mostly commercial advertisement, as a grip, which has funded the bulk of my artistic forrays, which I am very grateful for and although you would think I would want to work in the more creative departments (ie. art dept. or FX) or even an Ad agency for that matter, and to be honest I can’t really tell you why that it is, I just know I like to make art, and as long as I can make my art and whatever else I may be doing lends well to the art, than I am doing the right thing. enjoy. music made on garageband and using original samples collected in the least likely of speaces, something different. and below is me working away, operating a crane with lights, a good friend and my boss took the panafoto, thanks JD-man:). do what you love, or put love in what you do. Tags: art, different, film industry, mahalojess, of my own, something, video art, Wearable art | Permalink. 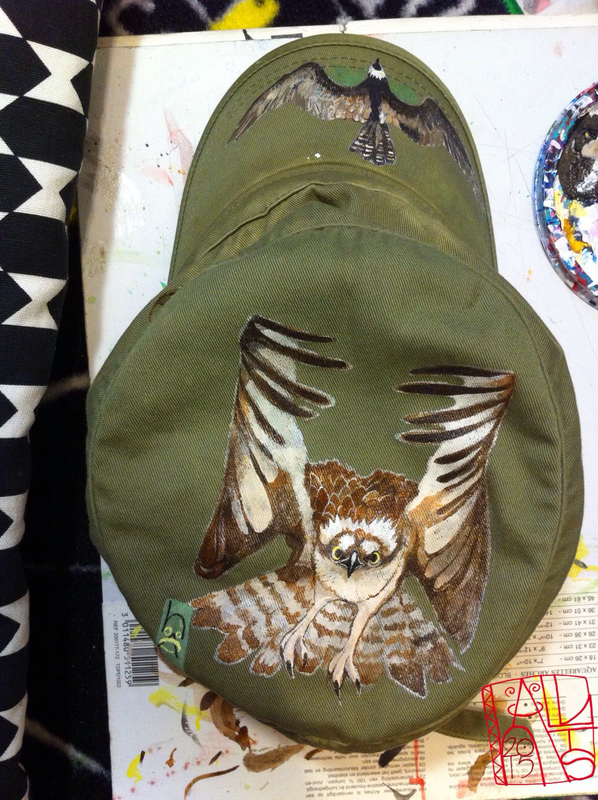 Tags: art, buffalo, hand painted, Wearable art | Permalink. Today my post is dedicated to the wolf. It is my totem animal, this discovered on a trip to a shaman several years ago. In fact the shaman informed me at the time that I was a lone wolf. 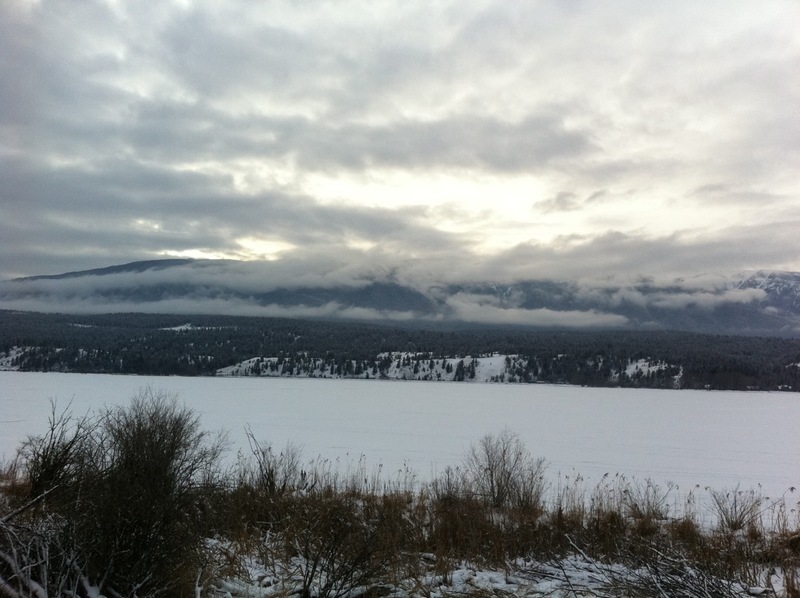 The shaman suggested I study the wolf, and go to places where wolves live. Well I did. I read about wolves, both fictional and non fiction. I explored wolf habitats, always on the lookout, sensing their presence but never actually encountering one. In my lifetime I have seen Golden eagles, buffalo/bison, and yes I have even had an extreme close encounter with a Grizzly bear. 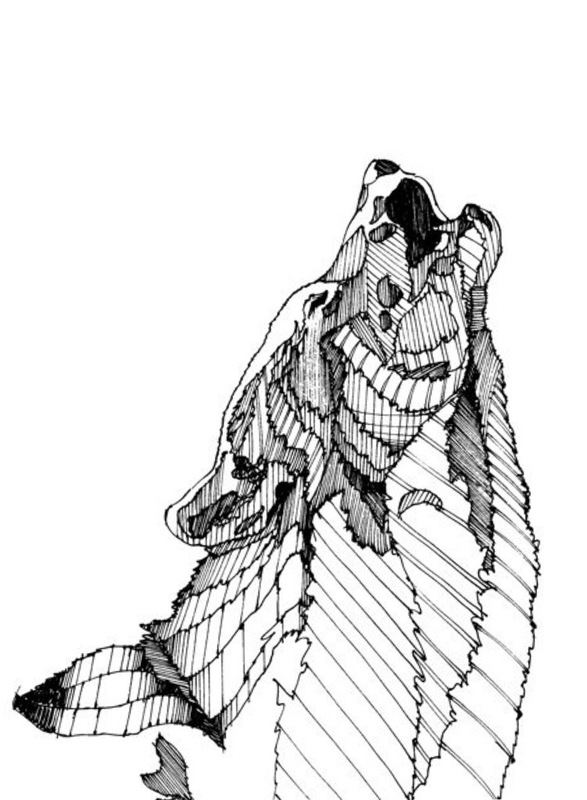 The only animal on the medicine wheel I have not seen with my own eyes is the wolf, until today. 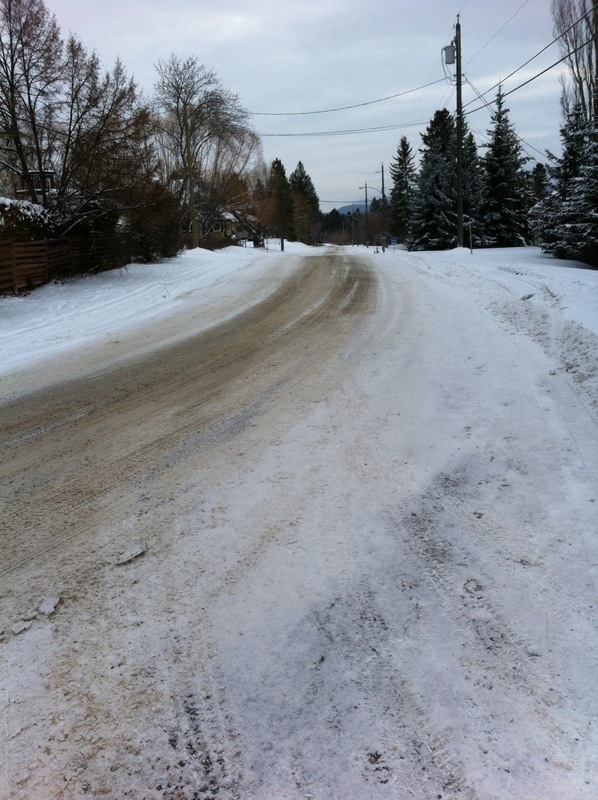 I went for a walk this afternoon, I was on the lookout for a bald eagle. In fact I went to a spot where they hangout and of course I didn’t see one. So I walked home, happy nevertheless, and wouldn’t you know it I see a wolf walking directly towards me down a road that runs through the small town where my parents live. To be honest I didn’t believe what I was seeing. 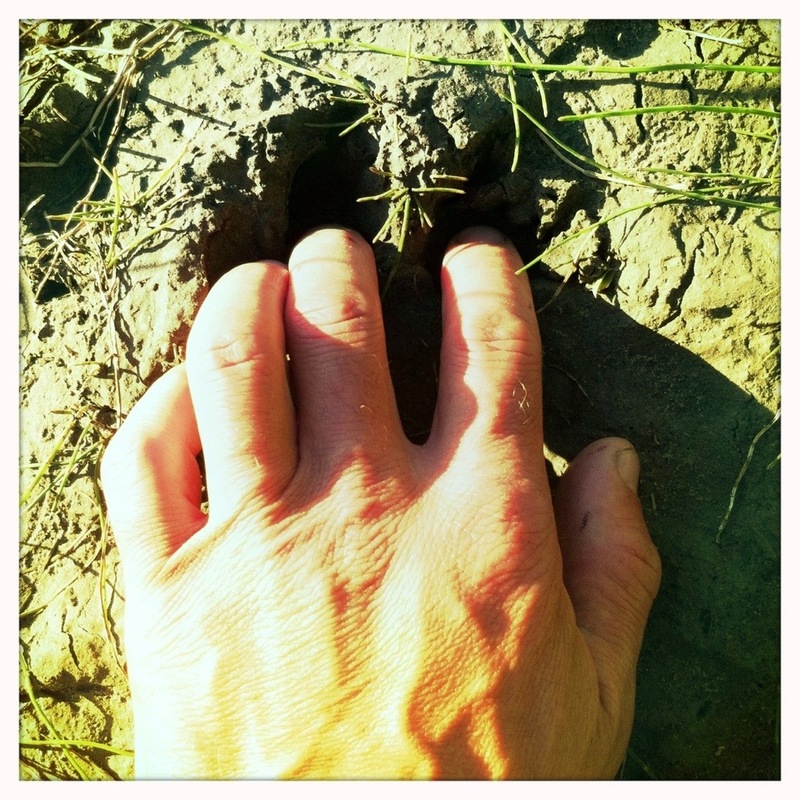 I have been to some remote areas where there are wolves, but the only signs of wolves were prints left in the mud along a riverbank. As he moved towards me I froze in disbelief. Just as fast as I saw him a truck came around a corner which caused me to take my eyes off the wolf, and as soon as I turned around the wolf was gone. 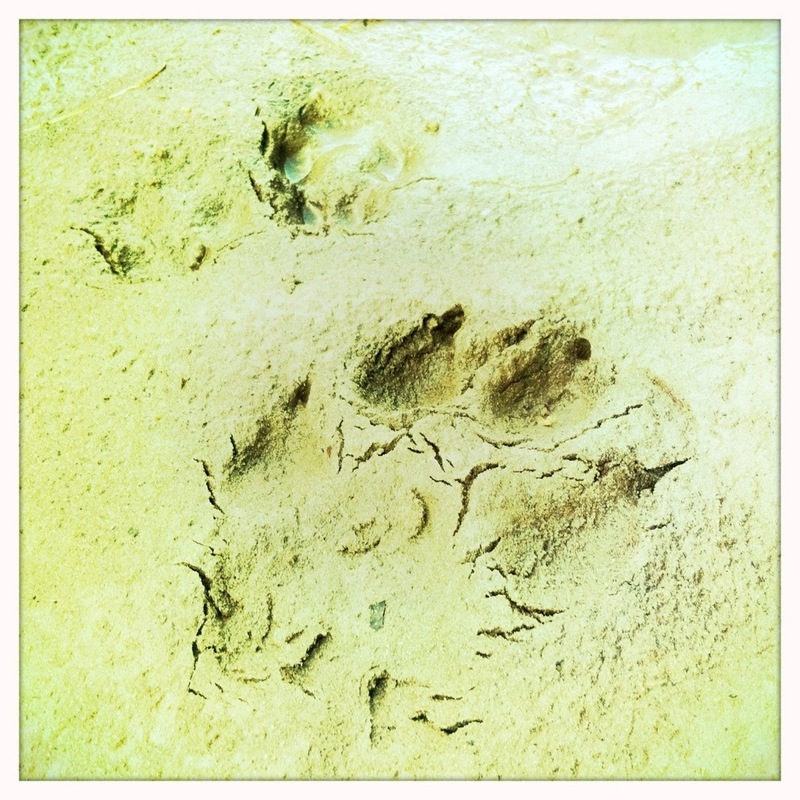 It is strange that in a human settlement, in broad daylight, that I would encounter my first wolf. 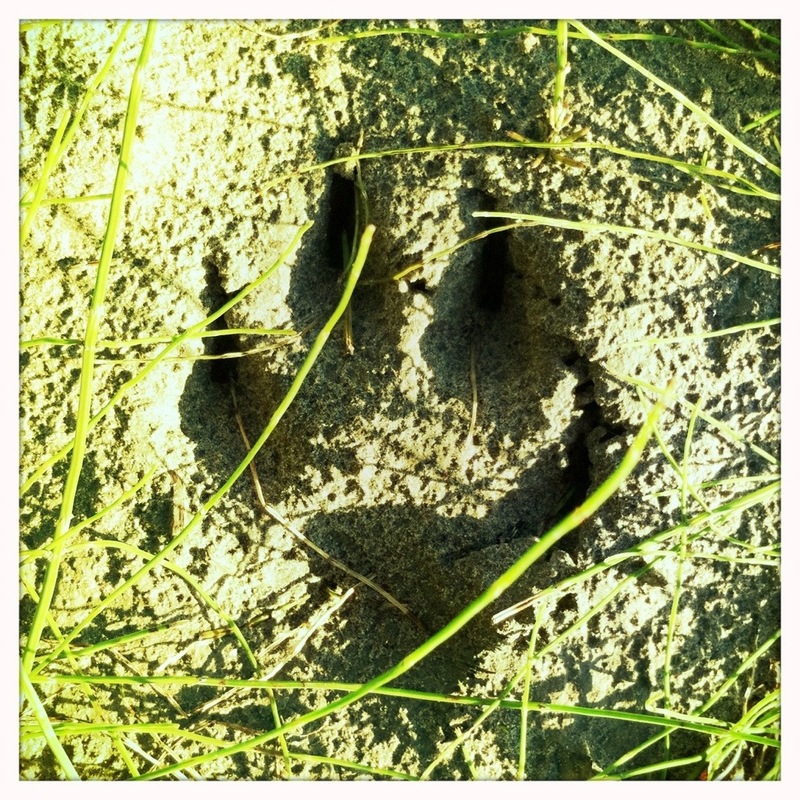 It was as if I was walking towards a spirit, my animal spirit. Perhaps it was meant to happen this way. 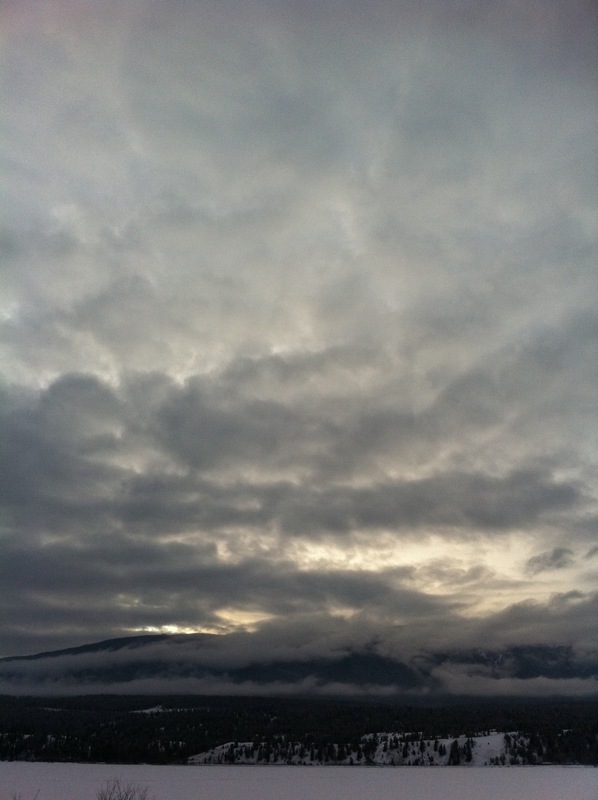 It makes me think that the harder I search for something, the less likelihood I will see what it is I am looking for. The universe is neither a friend nor a foe, it is a mystery revealing clues that are ultimately left for you and I to discern. 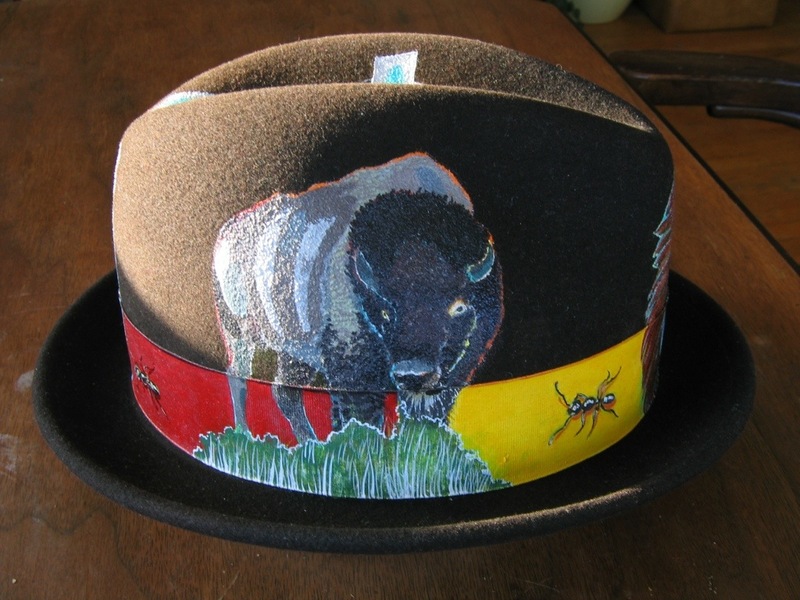 Fotomahaloness -the medicine wheel fedora I painted; the wolf and the buffalo positions are reversed, the client wanted it that way, just in case you are an expert in medicine wheels. Also a drawing I made of a wolf accompanied with images of wolf prints, the scenes of the today and the road where I met my totem companion. 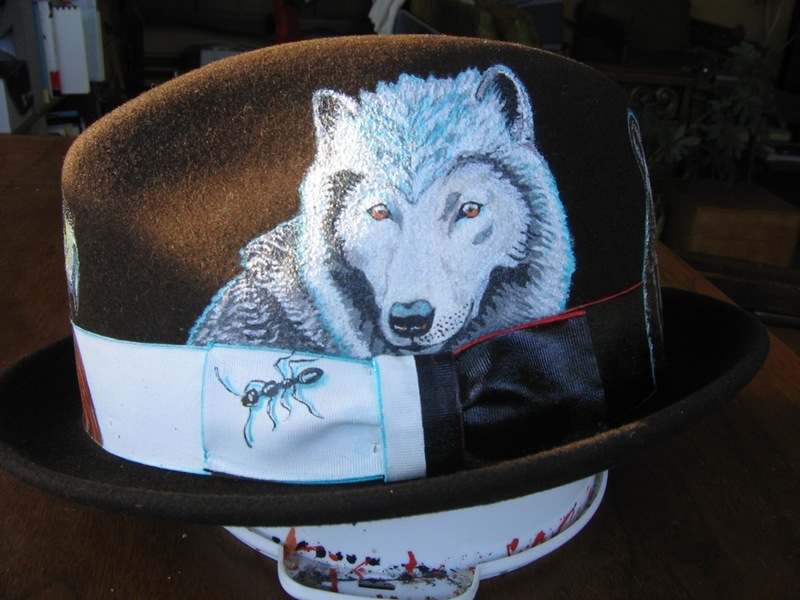 Tags: art, fedora, lone wolf, Mahaloness, medicine wheel, shaman, Wearable art, wolf | Permalink.